DJ Megan Ryte has taken the month of November hostage. The Hot 97 DJ is dropping a series of mixtapes throughout the month, and her first project will be a collaboration with Dreamville signee Cozz. The 5-track mixtape has been dubbed Aftermath of My Dreams, and the first single has been released a day before the tape is released. 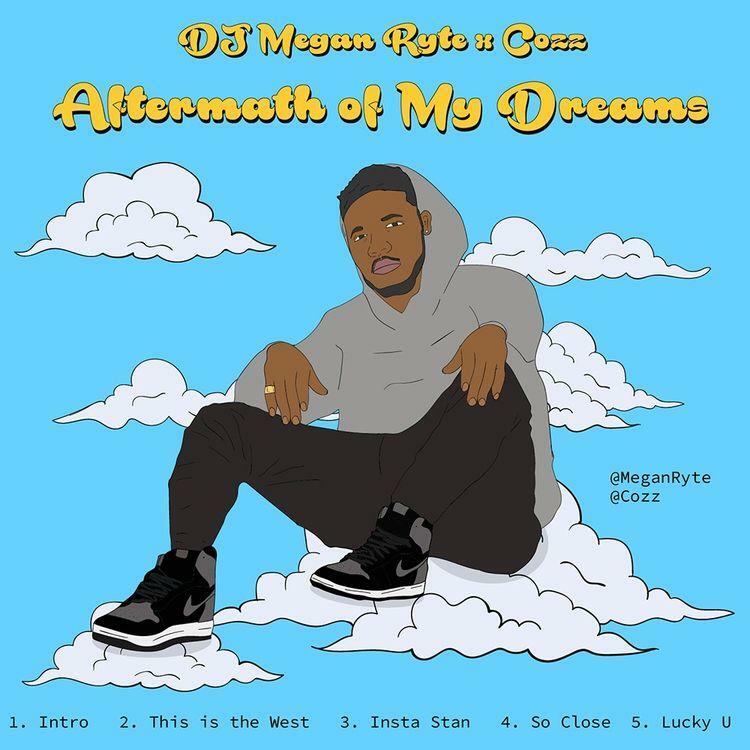 Cozz asserts his take on Drake's "Closer To My Dreams" with his own remix, "So Close." “So, Megan Ryte chose the kid to go first with her mixtape series called ‘The 5,’” Cozz explained. “She chooses the beats and does her thing and I do mine.” Along with the single, Cozz and DJ Megan Ryte have released visuals for "So Close." Cozz spits his bars comfortably from what appears to be his home, before wandering around outside until nightfall.